I am a working Mom. I have three kids, 15, 22 and 26. Love dogs, especially mine, Obi and Luke and my Grand Dog, Vader. This entry was posted in WordPress How-To on 5 November 2014 by Barb Adsero. 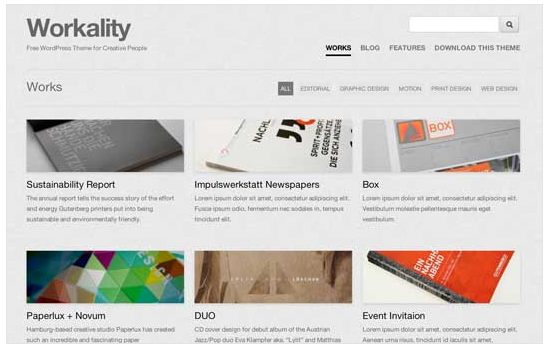 One of the themes I came across during my travels on the Web was the Workality theme. This theme was a clean, highly customizable theme geared towards creative people. It is also responsive, meaning that it should display well on all types of devices. 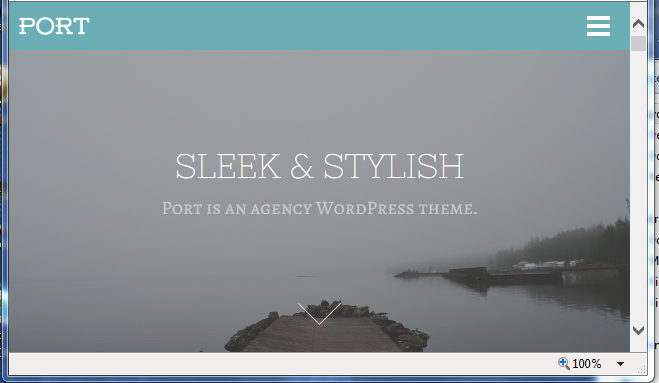 The next theme that struck me was one called the Port theme, mainly because I work at a Port. This theme seemed very brooding and mysterious looking due to its foggy gray appearance. Although “sleek and stylish,” I found it a little too somber for me. The last theme I found that caught my fancy was also the most simple, of the three. It was one called the Counterpoint theme. This one seemed simple, clean, easy to look at and no frills, which I felt would be great for placing focus on content over pretty pictures. This entry was posted in Design on 25 October 2014 by Barb Adsero. Selecting three themes to talk about was a difficult task for me as the amount of themes available for WordPress seems never-ending. I first came across the Port theme, which I took notice of because of the moody look of the title page. Reading further, I found that it had a lot of advanced features, such as being responsive to whatever device you are viewing it on. It also has the flexibility of being able to use to showcase your past work, as portfolio site. The next theme I came across was a theme called the Workality theme. This theme was simple to look at, while at the same time allows you to showcase a lot of different content in one screen. 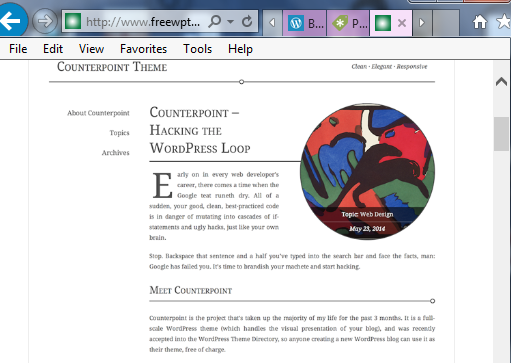 My favorite theme was also the most simple, the Counterpoint theme. This theme is simple, yet clean. It doesn’t place a lot of emphasis on fancy pictures and graphics. It seems, at least from first glance to be focused on the content, which is what I’m more interested in. This entry was posted in Resources on 22 October 2014 by Barb Adsero. Being new to blogging, I found what I thought was a useful link to a basic history of digital publishing. There looks to be a log of other good information for beginners such as myself. This entry was posted in Resources on 8 October 2014 by Barb Adsero.